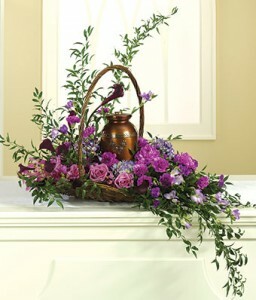 Garden of Memories Urn not included in Presque Isle, ME - COOK FLORIST, INC.
A peaceful setting of beautiful mixed flowers in pinks, purples and lavenders designed in a willow fireside basket provide beautiful tribute to remember loved ones. 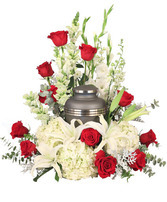 (urn not included). 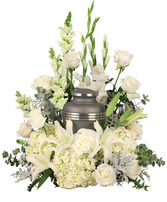 As you come together to share your memories, these assorted stargazer flowers shelter the urn in a loving embrace.